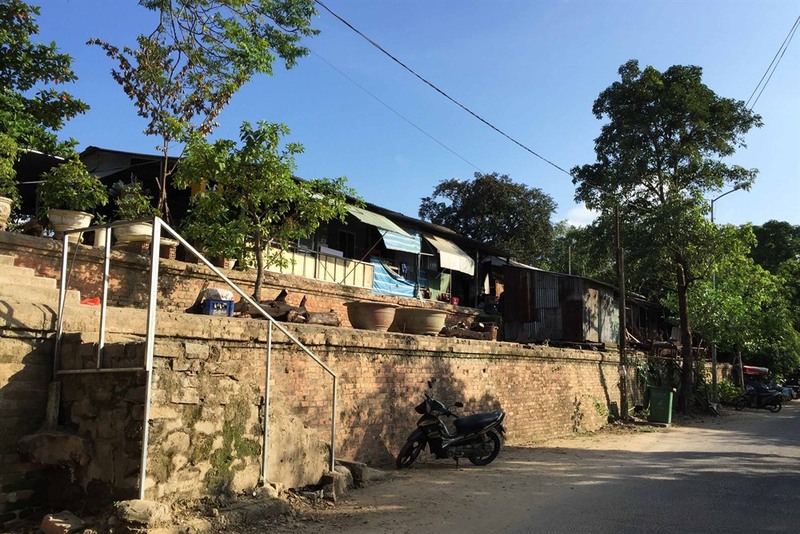 Viet Nam NewsTHỪA THIÊN-HUẾ — Huế authorities have announced plans to evacuate 4,200 families out of the citadel walls and buildings in an attempt to stop illegal lodging on relics. The People’s Council of Thừa Thiên-Huế Province early this week approved the evacuation plan designed by the local People’s Committee. Following the approved plan, the evacuation of 4,200 families living illegally on relics built during the Nguyễn Dynasty (1802-1945) in the city will take place in two stages. The first starts this year and is expected to be complete in 2021, removing 2,938 families from on and around the citadel walls and relocating them. The second stage will take place in 2022 to 2025, attempting to evacuate 1,263 households from the relics of Tịnh Tâm Lake, Học Hải Lake, Xã Tắc Ritual Platform, the buildings of Khâm Thiên Giám, Xiển Võ Từ, Trấn Bình Đài and canals around the citadel. The council approved a budget of VNĐ2.7 trillion (US$118 million) for evacuation compensation and VNĐ1.4 trillion ($59 million) for resettlement. The total budget of more than VNĐ4 trillion comes from the central Government, local government and loans from the national treasury. The central Government will provide funds for evacuation compensation. Construction on two sites of 9.9ha of land designated for resettlement is going on in Hương Sơ, an outskirts ward of the city. A total 523 families will be removed this year. The upheaval after the American War and controversy over the role of the Nguyễn Dynasty in Vietnamese history were the main causes to the illegal housing and lodging started since 1975. Another surge of illegal lodging taken place in 1999 after many locals lost their home and boats due to a historic flood occurred in the province. Moving the families was first mooted in 1993, when all relics built by the dynasty in Huế were recognised as world cultural heritage sites by UNESCO. Thái Công Nguyên, former director of Huế Monuments Conservation Centre, the local government body managing all relics built by the dynasty in the province, said local authorities at that time ignored his proposal on evacuation due to the wrong perception of the monarchic role. Researcher Phan Tấn Tô added that conservation at that time was ignored. The researchers believed that if the evacuation was made in 1993, the cost for the work would be much lower and the relics would be well conserved as well.